This sounds like something my dad would have said to me, and that is just the way that Gary speaks to anyone smart enough to listen! While Gary was hitting us with this powerful statement at Keller William’s Mega Camp, what does this really mean? It means that YOU get the choice of how you spend each moment of your life. Even when it feels like you don’t have that choice, you still have it! You can choose the positive outlook in a negative situation just as easily as you can choose to have a negative outlook in a positive situation. *Editorial note – Why would you do the latter? It is up to you to fill your calendar with activities that help you continue to grow smarter instead of leading you down the path of stupid. Now, we are not saying that some of those things don’t bring value to your life. Sometimes we all need to unplug and there is nothing better than getting lost in a movie or a show. The real question is how much time do you need for unplugging and how much time are you taking for unplugging? Are you finding your calendar filled by others and letting them choose what to put on there? 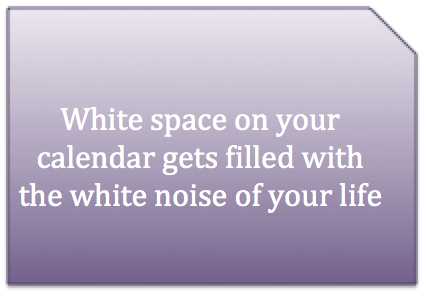 Then you can only hope you are surrounded by people filling your calendar with smart time. The only thing worse that having stupid time on your calendar is not even filling in a calendar to follow. If you don’t fill in a calendar, how will you know what you NEED to do instead of what you think you should do? When presented with that choice we always choose the easy way out. YOU get to choose if your activities and situations are making you smarter or not. Remember that your calendar is your true boss. Make sure you get your goals to show up by the activities on your calendar and then each day remember to ask your calendar what you should be doing. Then, do THAT! Time block well as you get to choose if those minutes, hours and days are going to be helping you become “more stupid” or smarter. Chadalyst – Get out a calendar, any calendar from a day planner to Google, and start filling it in. Remember to add smart time to that calendar today by putting exercise, reading and networking, with the right people. Don’t leave white space!